Contains natural moisture-trapping urea to relieve tight skin. This particularly rich and fast-absorbing structural skincare product has been developed for very dry and atopic skin in need of moisturization. 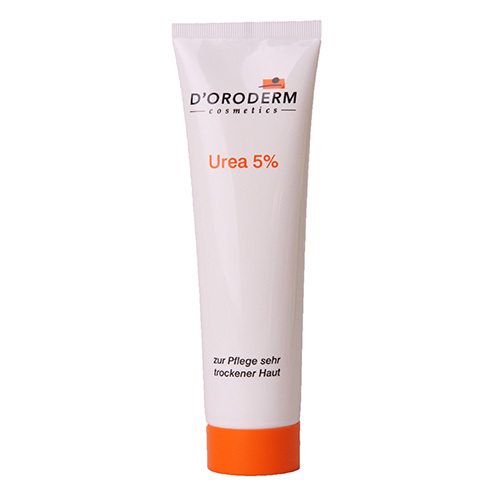 D´Oroderm Urea 5% contains natural moisture-trapping urea and precious lipids that immediately relieves the feeling of tight skin by intensive moisturization. Use several times a day as required. The exclusive german women's magazine "desired.de" reported on Urea 5%! Inhaltsstoffe: Aqua (Water), Propylene Glycol, Urea, Cetearyl Alcohol, PEG-8, Ethylhexyl Stearate, Cyclopentasiloxane, Stearic Acid, Palmitic Acid, Panthenol, Dimethiconol, PEG-75 Lanolin, Sodium Hydroxide, Parfum (Fragrance), Methylparaben, Propylparaben.